Are you interested in nominating a veterinarian for one of our prestigious MVMA Awards? 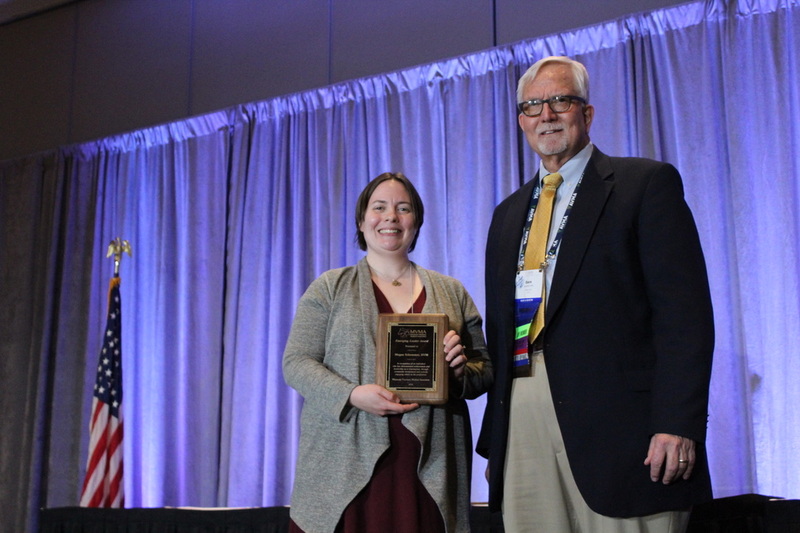 Nominations are now being accepted for Veterinarian of the Year, Outstanding Faculty, Outstanding Industry Partners, Distinguished Veterinary Service, Emerging Leader, and the President's Award. Please note, nominations must come from an MVMA Member Veterinarian and are due by December 1, 2019. Awards will be presented on February 8th, 2019 at the MVMA Business meeting. To complete an online nomination form, click here. To download and mail the pdf form, click here. 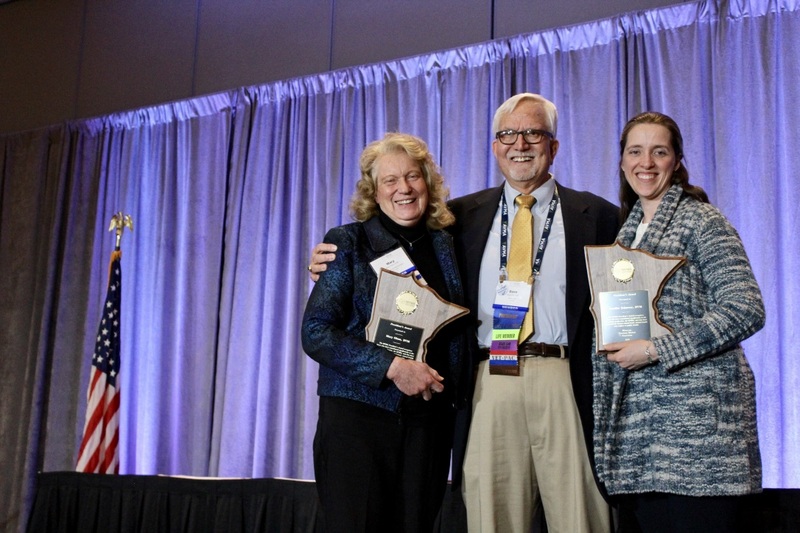 The Minnesota Veterinary Medical Association presented the MVMA Awards at the Business Meeting on February 8, 2019, at the Hilton, Minneapolis MN. The awards were given to individuals in the various MVMA award categories. Veterinarian of the Year – Dr. John Lillie, Jr. 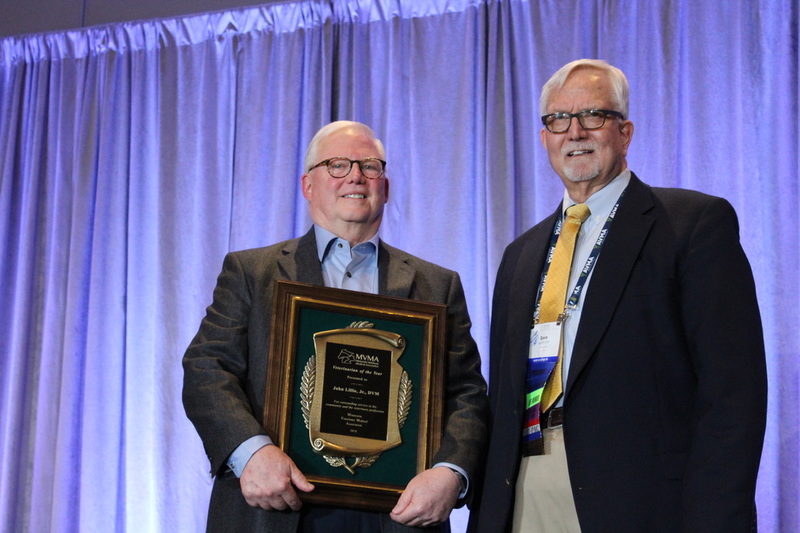 This award is given to a MVMA member who has given much to the veterinary profession as well as to his community - a well-rounded member who is outstanding in the profession. Dr. John Lillie, Jr. is the Medical Director of the Keller Lake Animal Hospital. He started the clinic in 1990 to fulfill his goal of spending more time with each of his patients. His special veterinary interests are in surgery and advanced dentistry. He has served on the board of the Animal Emergency Clinic in St. Paul, and as president of Animal Emergency Veterinary Services in Minneapolis. He has also served on the VHA board. Dr. Lillie has also been on the Ramsey County Humane Society board. His membership affiliations include the AVMA, AAHA, AVDS, and the Cornell Feline Medicine Society. He enjoys volunteering his time and expertise to the French Bulldog Rescue Network along with his daughter. Congratulations Dr. John Lillie, Jr. as the MVMA Veterinarian of the Year! This award is given to recipients who are faculty members of the University of Minnesota, College of Veterinary Medicine and all its related departments; who provide outstanding service to Minnesota veterinarians; who give of their time and talent to the veterinary profession, dedicated contributors to the organized veterinary medicine. Dr. Molgaard is the Associate Dean for Academic and Students Affairs at the University of Minnesota College of Veterinary Medicine. She has been active in committee work and creation of workshops serving the Association of American Veterinary Medical Colleges. Dr. Molgaard also has been an active participant in interprofessional education in the Academic Health Center as a facilitator in the Foundations of Interprofessional Communication and Collaboration course and as co-chair of several committees evaluating continuing interprofessional education for all health professionals at the University of Minnesota. Congratulations Dr. Laura Molgaard as the Outstanding Faculty Award Recipient! This award is given to recognize an individual who has exhibited outstanding service to veterinarians and/or the MVMA. This individual should consistently provide exceptional service to Minnesota veterinarians and promote the profession through liaisons with the MVMA, veterinarians, and the profession in general. The recipient of this award does not need to be a veterinarian. Kristi Johnson is the territory manager/sales representative for Henry Schein Animal Health. She is truly committed to her clinics and finds the necessary products or answers at any time of the day and at all costs. She seeks out the best options to meet the needs of the veterinary practice and veterinary medicine. Johnson focuses on helping her customers improve their business so that they can focus on caring and providing for their patients. She is known in her community for building strong relationships; she stands for quality in the profession. Congratulations Kristi Johnson as the outstanding Industry Representative Award Recipient! This award is given to individuals who have performed outstanding veterinary service to the veterinary profession and have contributed to the well-being of animals. Dr. Piehl has served as a Veterinary Medical Officer with USDA-APHIS for 33 years. Dr. Piehl never lost sight of the need to protect livestock from potential exotic threats. He has worked on the Exotic Newcastle Disease in California and tuberculosis and pseudorabies eradication in Minnesota. When Avian Influenza struck in 2015, he was appointed to a position of authority auditing claims for indemnity, cleaning, and disinfection in MN. 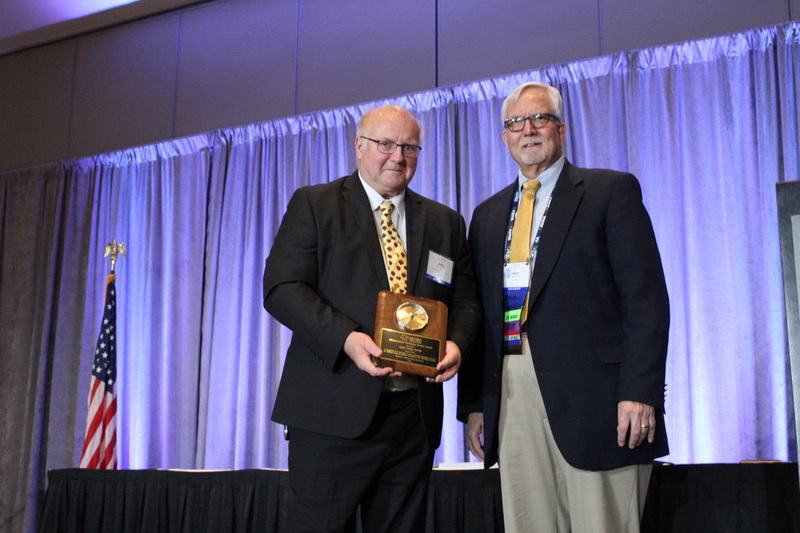 Congratulations Dr. John Piehl as the Distinguished Veterinary Service Award Recipient! 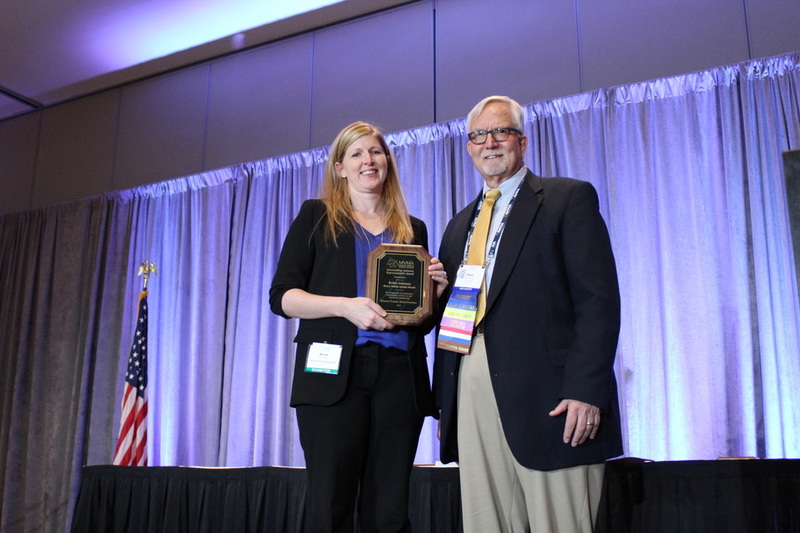 This award is given to MVMA members who have graduated from veterinary school within the past 10 years and has demonstrated achievement and leadership through veterinary community involvement. Dr. Schommer maintains Minnesota Vets, a Facebook group dedicated to connecting Minnesota Veterinarians. Schommer is deeply involved with MN Pocket Pet rescue as the volunteer veterinarian, an animal foster parent, and was a finalist for its 2018 Small Pet Select Rescue Hero award. She has also volunteered with SIRVS through the University of Minnesota. She is currently serving on the MVMA committee focusing on health and wellness within the veterinary community. Congratulations Dr. Megan Schommer as Emerging Leader Award Recipient! 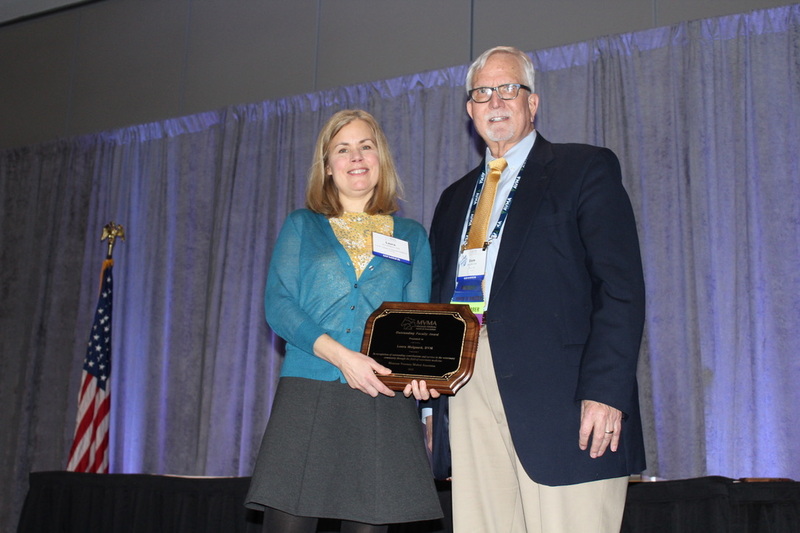 The MVMA President’s Award recognizes those who have contributed significantly to the veterinary profession, the MVMA, and that have promoted the human-animal bond, animal health, and welfare or public health. Dr. Mary Olson and Dr. Jennifer Schurrer have led Minnesota's prescription monitoring program, VetPMP. Register today at vetpmp.org! Congratulations Dr. Mary Olson and Dr. Jennifer Schurrer as MVMA President’s Award Recipients!